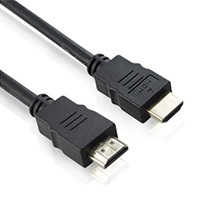 Is Round Audio Cable Better than Flat One? When referring to listening to music, we know that headsets are of much importance as well as the audio cables because some people are inclined to choose headsets while others prefer audio cables at home. Actually, both are often applied to various audio devices. But why the designs of the same kind product are different? Which kind is better? In fact, when the same kind of product with a different design is released, it is because some problems appear when people use them. The original type needs to be changed in some aspects in order to meet the diverse requirements of different people. Each kind has its own advantages. We can not say which type is better. Originally, round wires are often used by people. But why the flat audio cable is designed? What are their respective characteristics? Firstly, each time when we need to use it to listen to music, we usually need to spend some time to deal with the tangled round cables. Generally speaking, this can be avoided if you use the flat one. If the round wire is featured with high toughness and good elasticity, both are the same. Secondly, the flat wire can prolong the life because it can prevent the jack from being hurt when people pull the wire accidentally. The jack of the round wire is easy to be broken when it is pulled repeatedly. 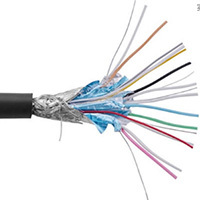 Thirdly, we can use the flat wire headset when running for its smaller amplitude of fluctuation and stable wire stock, which can prevent wire entanglement effectively.